Presidential candidate Rep. Ron Paul has his own fervent army of followers. He advocates bringing the troops home from overseas, and, guess what, Paul has received the most donations from members of the military. 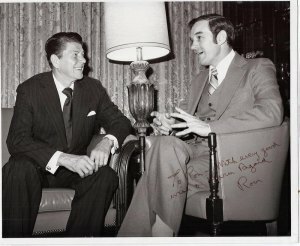 Former President Ronald Reagan praised Paul for putting the troops first: “"Ron Paul is one of the outstanding leaders fighting for a stronger national defense. As a former Air Force officer, he knows well the needs of our armed forces, and he always puts them first. We need to keep him fighting for our country." Simultaneously, Ron Paul has climbed to third place in the presidential preference Gallup poll released Aug. 23. An earlier Rasmussen poll had Paul running only two percentage points behind President Obama. The President scored 47% to Dr. Paul’s 45%. According to that poll, even if Sarah Palin announces herself as a candidate, she’s only winning 33% when paired against the incumbent Democratic President.